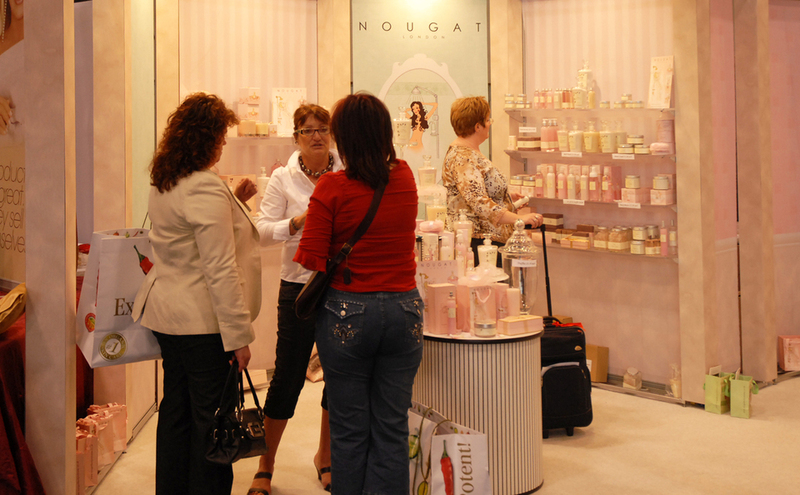 Nougat London, whose luxury bath, body and home products are designed to pamper and indulge, boosted sales 35 to 40 percent at gift and spa shows by inviting prospects into a cozy, elegant environment. 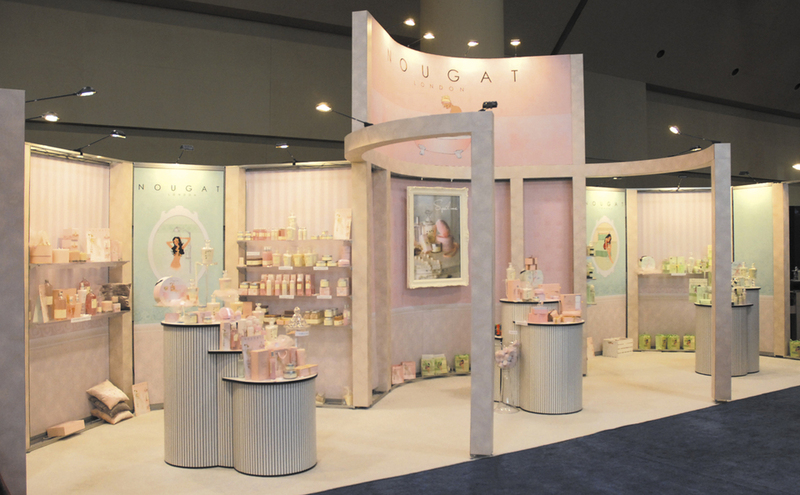 A lightweight custom modular exhibit added allure by creating the effect of three rooms – with graphic panels simulating wallpaper, paneling and wood beams. 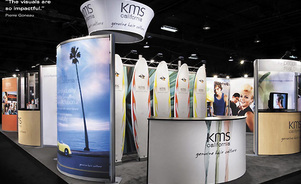 Success prompted the company to expand its annual schedule by 10 shows, allowing the exhibit to pay for itself in one year. 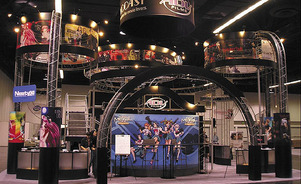 Ms. Stojanoff had wanted a replacement for a hardwall exhibit that was expensive to transport, assemble and maintain. Skyline translated her ideas into a 10’-by-30’ vintage boutique that has twice won best-of-show honors. Ms. Stojanoff considers the exhibit a wise investment that saves money with easy assembly, low-cost shipping, durability and versatility. 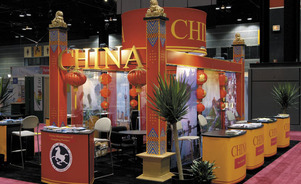 Just configure to the size and shape of various booth spaces. “We always have a fresh new look,“ Ms. Stojanoff says. “The original booth is always being reused. 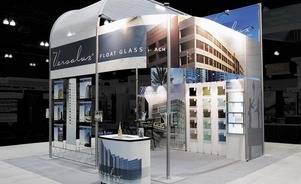 And if we change the graphics, it’s a brand new booth again.“ Now Nougat is looking at a second innovative, lightweight booth design with Skyline. What can we do to ensure that children in Big Brothers Big Sisters, the youth mentoring organization, have the clothing and supplies they need for the new school year? 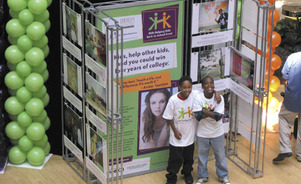 Taubman Centers answered that question by developing a program to inspire donations. See how.